An event registration and eTicketing platform used all over the world. Works with any language and currency. Offered as a white label solution. "Some Good Things, but Actual Platform is Slow and full of bugs"
Fees are the lowest in the business. Very affordable. Customer service is usually fast response time. Fixes are usually quick, except when we complain about server speed, we get a defensive response. I can't count the number of times our box office has frozen because of their slow server. We have consistent customer complaints about Server Errors, timing out of sales, and slow speeds. We also experience it on our end. There are also seem to be quite a few bugs in their system, like the system not releasing back for sale any tickets in abandoned shopping carts (resulting in lost sales for us). The organization-side interface is clunky and confusing. We never feel like know exactly how to find something or change something. Things are organized in a way that is less than intuitive. I tried to give SimpleTix the benefit of the doubt, and tried to hold my nose because of the low fees, but we will be switching to a new service in the next season. We simply can't afford to have our box office running slow, freezing up, or offline on show days. "Simple Tix Is just plain Awesome!" 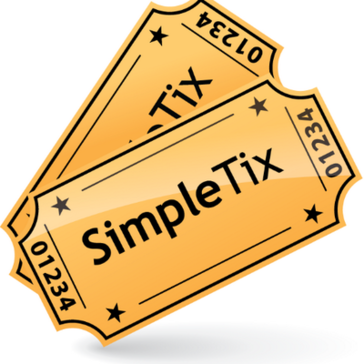 Simple Tix is super easy to use for event ticketing. The customer service is outstanding. We were able to set up our events in a very short period of time and when we ran into a little snag with multi events the issue was resolved within less than one day.. and this was a Saturday into Sunday. Nothing about Simple Tix is should be cause for dislike. We are using Simple Tix to manage our black box theater. We are a small venue of only 50 seats and this is the best solution for ticketing that would could find and we researched many options. What I like best about simpletix is that you can match your ticketing portal to your website and it also have interactive seating charts. It is also very easy to maneuver and set up ticketing for discounts and student tickets if needed. You should use simpletix because of how easy it is to use. I love that it has interactive seating charts so that the employees or customers are able to select the seats that they want. It is easy to use with company functions, they employees have commented how easy it was to use as well. "The best flat rate ticketing app you can find." The flexibility on the promo codes. We can limit them per event and event time. It's a great way to promote event times that need more attendees. The system works and it’s very cost effective for all the components your get. We are very happy we chose SimpleTix. Do the math. Their flat rate per ticket will save you a lot of money. 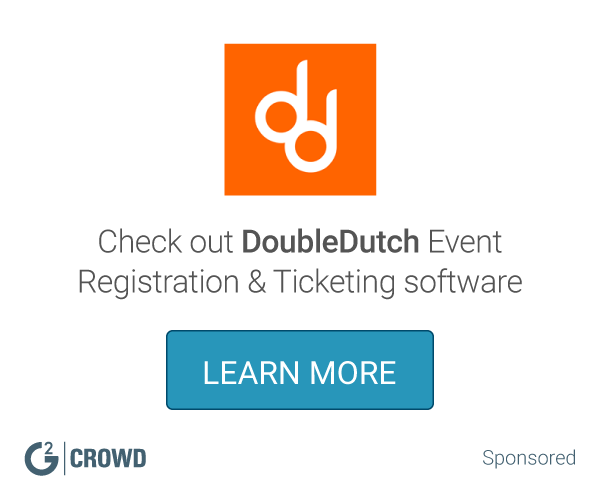 We started looking for an event ticketing solution and we reviewed many different providers. We chose SimpleTix based on the fact that it offered not only a ticketing solution, but also a shopping cart solution. The learning curve for SimpleTix is not too steep, the company offers dozens of self-help video tutorials that helped a lot in the beginning. Since I am not a web developer, it probably took me longer to get the site up an running than would be a professional developer, but I am very happy that I took the time to learn the application. Now I can add and modify events with a few clicks, add new images, promotional banners, promo codes, products, and other pages to the site without going through a web developer. Now for the fun part, the ticketing side works great and everyday we get a bcc email from customers who have bought event tickets online. "Fantastic Service, Great Product, Totally Responsive"
Aron's flexibility and service were truly top notch. I don't have any issues with the platform or the service we received. We have a complicated ticketing need with four events over a period of two weeks (along with multiple;e locations and parking). Aron was tremendously responsive in helping to tailor the already-great SimpleTix tools to best meet our needs and ensure that SimpleTix gives us the ability to best serve our congregants. "Simple Tix - Totally Awesome!" Simple Tix is just amazing! The cost for it will pay for itself and its easy to set up for paypal and we can pick colors for different ticketing events. I think its great and can't find any faults - Its been a great tool for us! When I worked for an entertainment company, SImple Tix was the solution. It was easy to setup and the fact that it has tutorials to help you in every way is a plus. Plus its great for customizing tickets and for iphone/android scanning capabilities. You can set your own booking fees. You get to choose exactly what the tickets look like from color scheme to font. The payment is very fast and we aren't having to wait for the money to be transferred. You are also able to use paypal which is great. Free tickets are free! You have to sign up for premium in order to get a lower rate per ticket. The design process of the ticket could be a little less complicated. We are able to communicate with our audience what our events entail. We enjoy being able to use this software and not have to outsource to a printing company. This software makes event organizing just a little easier. "Get Your Tickets with ease"
I like that SimpleTix that allows you to set up your venue sales online easily. There isn't anything that I dislike about Simple Tix. SimpleTix is easy to use. It's great for setting up your tickets easily online without having to print out tons of tickets. It is very easy to print out tickets via e-tickets using this program. I think that the pricing for SimpleTix is by far the best for most ticketing software. I also think the mobile app is a great feature to encourage buyers. There wasn't anything that I disliked on SimpleTix. Seating for a professional development conference. The program is great and easy to learn and use. I highly recommend it! Not enough people are using it yet and I hope it expands further! No problems at the moment. * We monitor all SimpleTix reviews to prevent fraudulent reviews and keep review quality high. We do not post reviews by company employees or direct competitors. Validated reviews require the user to submit a screenshot of the product containing their user ID, in order to verify a user is an actual user of the product. Hi there! Are you looking to implement a solution like SimpleTix?